PV Sindhu took on the resilient force of Thailand’s Nitchaon Jindapol to advance to the quarterfinals of the All England Open Championship with a 13-21, 21-13, 21-18 win on Thursday. Current World No. 6, Sindhu took the first game with no hard challenges but Jindapol made a remarkable comeback in the second game. The tireless Thai took the second game with brutal attacks and won it 13-21 to take the match to the final third set. The Hyderabad born star got off to a perfect start in the third game when she was 8-4 up, but Jindapol had her thoughts. The Thai played some impeccable drop shots and used her power when needed and then took a 15-12 lead. 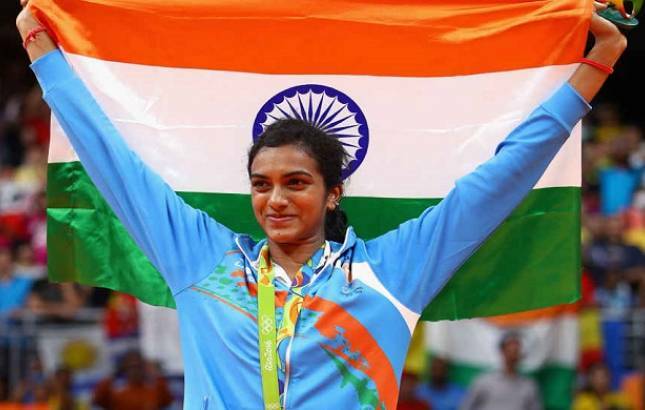 However, Sindhu’s experience was enough to be the difference as she played her strokes with aura and personality, patiently waiting for the Thai to commit errors. She fought back from 17-18 to grab the next four consecutive points to seal the quarter-final berth. PV Sindhu had earlier defeated unseeded Pornpawee Chochuwong of Thailand after bouncing back from losing the first game to register a 20-22, 21-17, 21-9 victory. Sindhu now faces the possibility of taking on the winner of the second round clash between world champion Nozomi Okuhara and Indonesia's Fitriani in the quarters.